If you’re opening a restaurant in Evergreen Park on a tight budget, it’s highly recommended that you purchase used restaurant equipment. 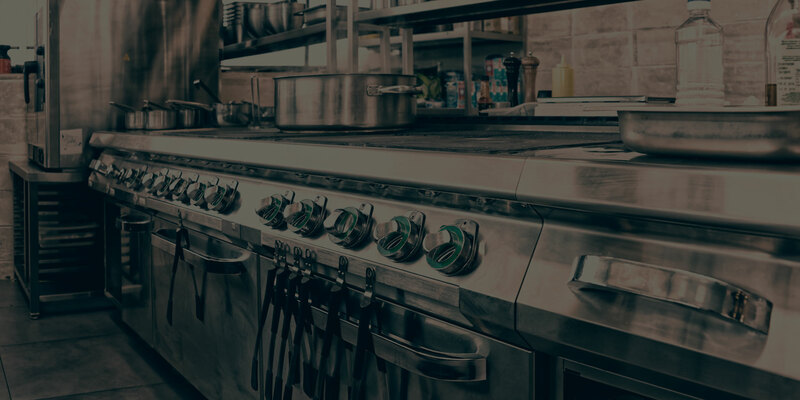 Used restaurant equipment is substantially more affordable than new equipment, yet offers very comparable quality overall. On the lookout for restaurant food preparation equipment in Evergreen Park, Illinois? Curious as to what types of food preparation equipment can be bought used? Here are 4 types of equipment you may want to think about buying. There are very few restaurants out there that don’t utilize bread. Bread is often used as a side, to make certain dishes, and for a variety of other purposes. If your restaurant serves a lot of bread, you’re almost certainly going to need a large, mechanical bread slicer. Slicing bread with a knife instead of a bread slicer would not only require a great deal more effort, it would be a great deal more time-consuming as well. There are plenty of high-quality used bread slicers on the market today — most of which can do exactly what brand new bread slicers can do. There’s really no reason to pay more for a new machine when you could get the same value at a fraction of that price. 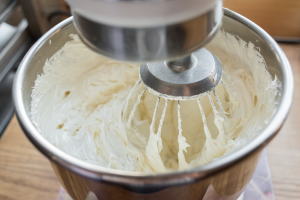 Whether you’re making pizza dough, cookies, mashed potatoes, or ice cream, you’re likely going to need a mixer. In the case of most restaurants, a large, commercial mixer will be needed. Large, commercial mixers are capable of mixing a great deal of ingredients in just a short amount of time. This vastly improves overall kitchen efficiency, and ensures that customers get their food in a timely manner. When refurbished accordingly, used commercial mixers can be just as effective as new commercial mixers. For this reason, if you’re opening a restaurant on a budget, it’s always wiser to choose a used mixer over a new mixer. Unless you’re opening an exclusively vegan restaurant, you’re probably going to be serving meat. Meat is needed for a wide variety of restaurants, from pizza places, to steakhouses, to cafes, to delis and a number of other establishments. In most restaurants, this meat will need to be sliced. How do you go about slicing large amounts of meat? A commercial meat slicer is your best bet. Commercial meat slicers are electric powered devices that slice in and out of meat with absolute ease. They will help substantially in improving overall restaurant efficiency. Fortunately, there are plenty of used restaurant meat slicers available, allowing you to get your hands on one for an affordable price. When you purchase a mixer, you don’t just need the mixer itself; you’ll likely need a number of mixer accessories as well. These accessories include everything from mixing arms, to mixing bowls, to safety guards, and much more. These accessories can always be bought used. While new mixing accessories might have a better aesthetic than used accessories, they typically won’t provide anything extra in terms of functionality. There’s no use in spending money that you don’t absolutely need to spend. Buying your mixing accessories used is a great way to save money. Looking for Used Restaurant Equipment in Evergreen Park? Do you have a need for any of the above-reviewed items? Looking for used restaurant equipment in Evergreen Park, Illinois? If so, March Used Equipment is the company to see. We sell only the best in used food preparation equipment, refurbishing all products so that they are 100% ready for use. Whether you need a slicer, a mixer, mixer attachments, or something else, we can accommodate you. I’m glad you pointed out that there are plenty of used restaurant meat slicers available, which makes it much easier to get your hands on one at an affordable price. My brother is thinking about opening a deli, and I know that all the equipment he needs to purchase will quickly add up in price. I’ll give him a call and pass along your advice to get a used meat slicer! We’re glad you found this blog useful! In the future, the team here at March Equipment, would love to help your brother find the equipment he needs. Feel free to visit our showroom or give us a call for equipment inquiries. We hope to hear from you soon.